If you've ever heard the famous saying, 'One's company, Two's a crowd and Three's a party', then you know the Fish Party Tournament is where the party begins! A unique combination of thrill and strategy, the Fish Party tournament was triggered yet again where three lucky winners scooped a massive €117,341.17 prize in entirety. This hit marked the 30th overall win for The Fish Party Tournaments which have paid out approximately 1.5 Million in prizes to various lucky winners. Continue reading to find more about the most recent win which was triggered on Friday, 29 March 2019 and has been regarded as the 4th biggest win yet under this category. The prize money will be shared by three lucky winners where two of the players were playing from Coolbet whereas the third player was a NordicBet member. All three of them took part in the Fish Party Sit N Go tournament with a mere buy-in of €10. Taking home the major chunk of the prize pool is ‘miika295' who hails from Finland. A Coolbet player for about an year now, won a massive sum of €58,670.59. The second spot was reserved by a NordicBet Player named ‘Stoffeloco’ who got richer by €35,202.35. Rounding off the third spot is ‘Jalihi’, another Coolbet player who bagged a decent portion of the prize pool worth €23,468.23. Thank you! I have played quite a few Fish Party Sit & Gos in the last few months. I saw a Coolbet ad highlighting that the jackpots were high and that got me excited about Fish Party! I am very happy of course! I still don’t quite understand that I just won over €58,000! . Another amazing win on our Fish Party progressive jackpot – what a thrilling three-handed SNG to trigger the jackpot and take total payouts to over €1.5 million! Congratulations to the three winners. .
Blending the best of casino and poker, Microgaming introduced the Fish Party SNG tournaments which is a combination of its very popular slot game and Sit & Go progressive jackpots. Under this, No Limit Hold'em players can choose from a total of 5 buy-ins worth €1, €5, €10, €20 and €50 where the prize pool is split in the ratio 50:30:20. Furthermore, all the game play would be displayed in euros with additional facilities regarding cash and ticket buy-ins. These 3 seater tournaments can be played via Windows client, Instant Play, Mac and other hand held devices. Up for grabs are wins of up to 5000 times the buy in price along with the progressive jackpot money! It is imperative for a trio to be a part of this SNG tournament but with a delightful twist. Once the players take their seats, a simplified or easier version of the Fish Party Slot Game automatically takes a spin. This spin further decides the prize pool all the three opponents are fighting for. Add to that, the progressive jackpot builds each time it is not triggered! The Fish Party Tournaments are played at various online casinos. 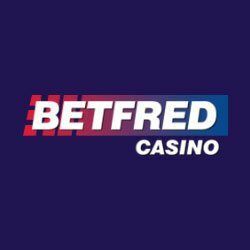 Some of them include – Betsson Casino, Grosvenor Casino, 32 Red Poker etc. Microgaming is a leading provider of the best gaming solutions online. A name synonymous with rendering an out of the world experience by employing a cutting edge technology. Offering a wide range of products that includes software solutions, it also provides innovative games with unique graphics and high quality sound systems. A front runner in terms of employing versatile methodologies to launch exciting new games and features, Microgaming games run seamlessly on majority of devices. A risk taker of sorts, the Fish Party SNG tournaments was one of Microgaming's many experiments which proved to be a hit and how! Try your luck at any of the microgaming casinos and become the next big winner!